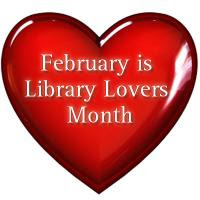 As you might recall, the MVSA Board approved matching up to $1500 of the funds raised during the Library Lovers fundraiser in February. With the support of the Mission Valley parent community, the fundraiser exceeded it’s goal and qualified for the entire $1500 match from the MVSA. Below is a passionate message of appreciation from the school librarian. A HUUUGE thanks to MVSA for the generous donation to the library, it is very much appreciated. It will enable me to purchase many new titles for our library collection. I am very grateful to you, and the students will be very happy to see lots of new books on the shelves! In an effort to spread the word about an informational meeting on the Facilities Bond that will be held at MSJHS on Thursday, March 20th, at 7 pm in Room C 120. At the moment we need help with spreading the word among your school community about this meeting. Dr. Morris and a couple of school board members will be attending along with the Facilities Bond consultant. This is a great opportunity to ask any questions about the FUSD Facilities Bond that will be on the June ballot. As the parents of Fremont students, you will NOT be surprised to learn that the FUSD Community Facilities Committee identified $1.6 billion dollars in school facility needs in Fremont Unified. Our children are the ones that have have suffered with hot and cold classrooms, roof leaks, power outages, the lack of technology infrastructure and overcrowding. It is daunting to even begin to address the situation that years of under-funding has created. If you are interested in learning more about this bond measure, please join us on March 20th -7:00 pm at Mission San Jose High School Rm C-120, 41717 Palm Avenue, where the measure will be discussed. Dr. Jim Morris, Larry Tramutola-campaign consultant, Meryl Shatzman and a few of the school board members will be present at this event.